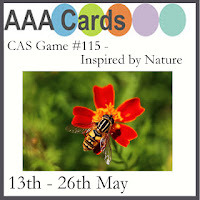 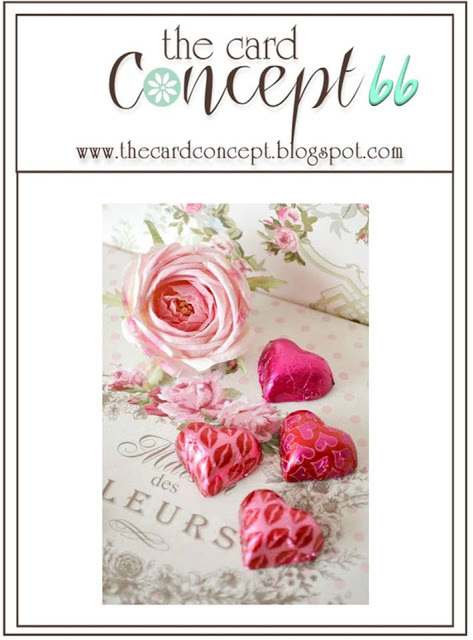 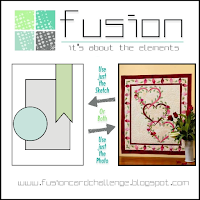 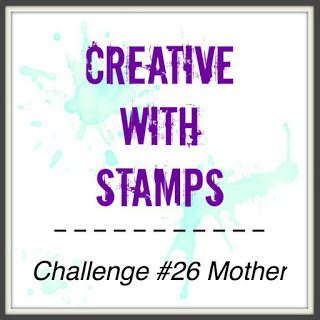 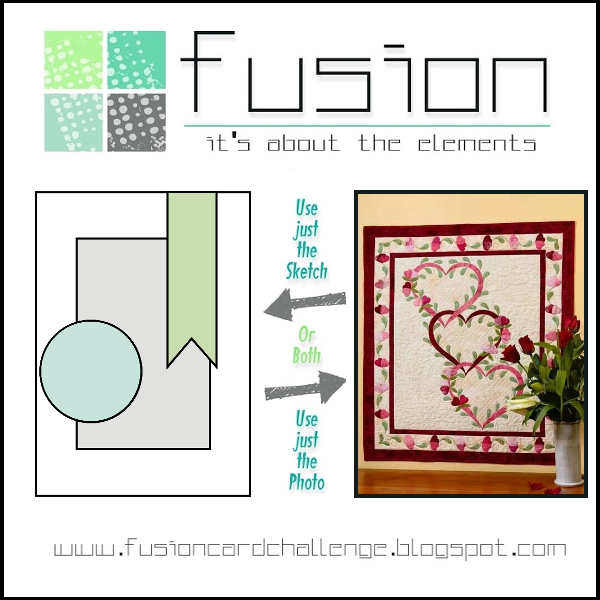 Mid Month May CAS Mix Up Card Challenge Reminder! Today I'm posting another card for the CAS Mix Up Challenge to remind you that you have until May 24th to get your card linked up! 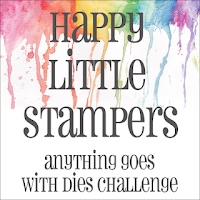 Here is hostess Bonnie's challenge for us this month: Use Gelatos or Crayons - but don't worry if you can't think of what you might do with these - check out all the videos linked to over at the blog! 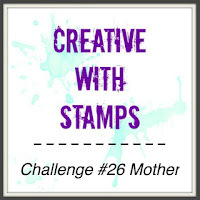 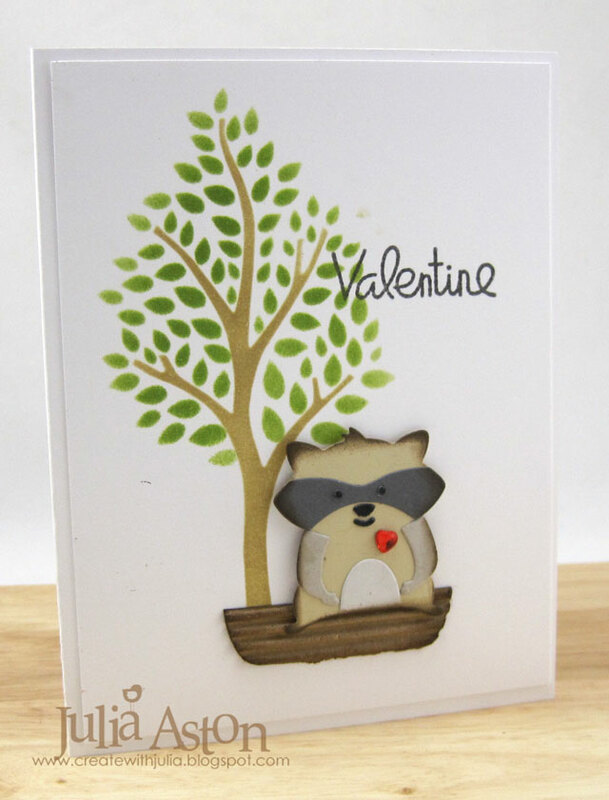 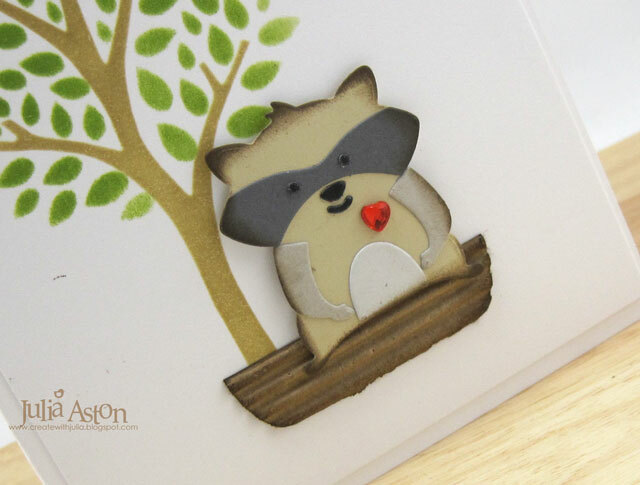 (you can see my Distress Crayon card here if you missed it!). 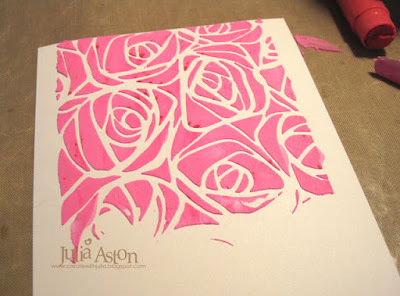 I mixed Bubble Gum Gelato with Liquitex Light Modeling Paste and spread it over a stencil. Here are a few photos of how I did it. 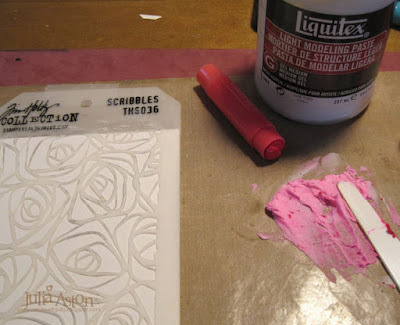 First I spread some modeling paste onto my craft mat. 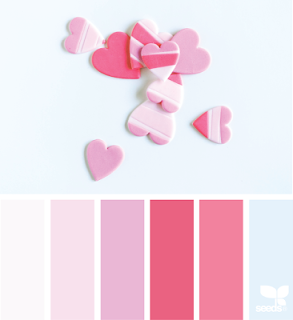 Then I scraped some Bubble Gum Gelato off the stick onto the mat and then mixed it into the paste. 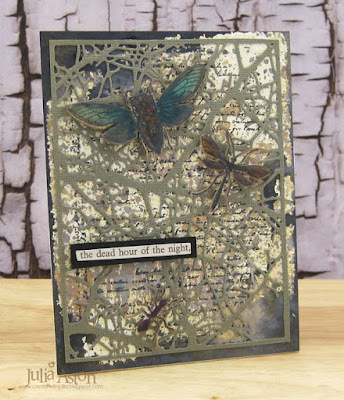 I spread the mix over Tim Holtz Scribbles stencil onto a panel of Bristol Smooth Surface paper being sure it was all covered and scraped over thinly and evenly. 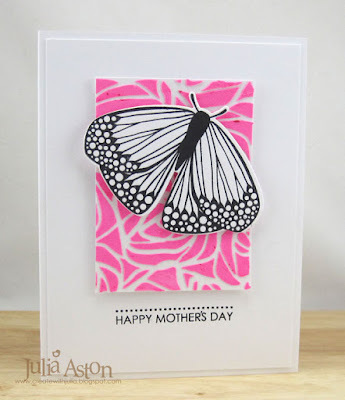 I cut a 2 1/2" x 3 1/4" piece out of the stenciled panel, layered it to a white card panel with foam dots, stamped and die cut the butterfly and layered it over the stenciling with foam dots. 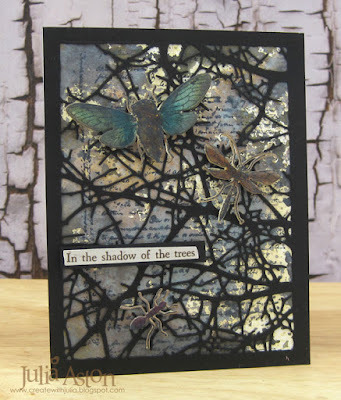 Then I stamped the sentiment and layered the panel to a white card base. 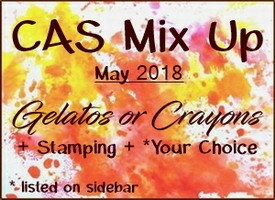 Please join us and show us how you use Gelatos or Crayons! 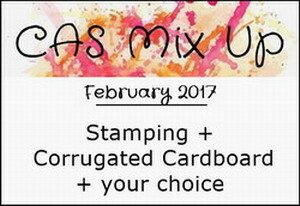 There are several videos over at the CAS Mix Up Blog to inspire your creativity! You have until 5/24 to link up your creation! 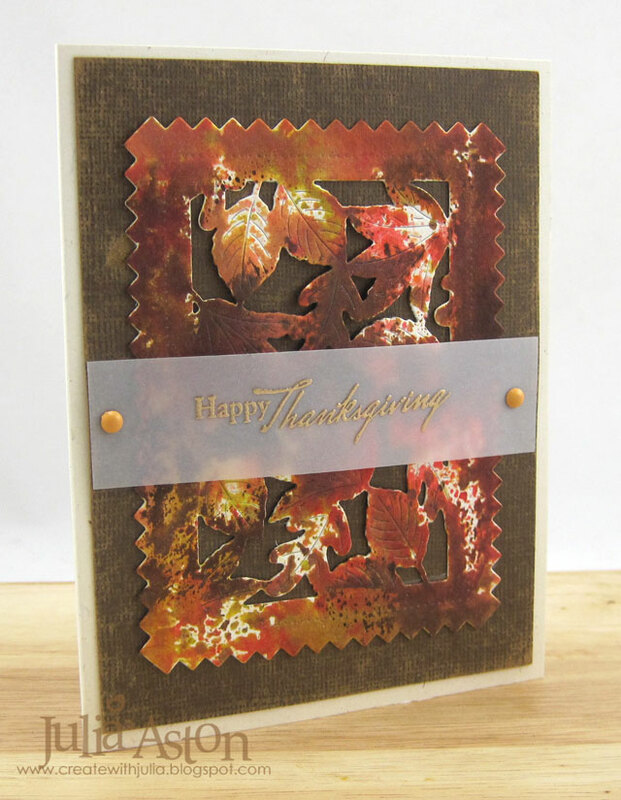 I've been busily making both Halloween and Thanksgiving cards to sell at our October Church Fair. 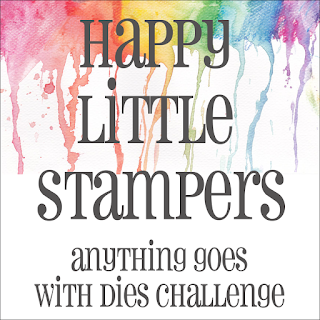 I love how I can sit down and stamp all day if I want to, now that I'm retired! Today I have a Thanksgiving card to share. I used my brandy-new Mix and Mat - Pinked Edge Die that has this beautiful leaf cut out in the middle of it. 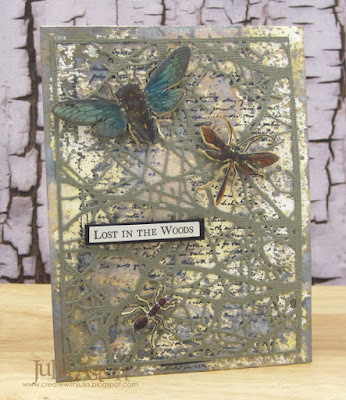 I cut it out of Arches Watercolor paper and then colored it by rubbing Distress Inks on my craft mat, spritzing the inks with water, and dragging and pouncing the die cut panel in the colors. I layered it to a panel of Brown Kraft Core Coredinations paper that I sanded to reveal some of the Kraft Core. 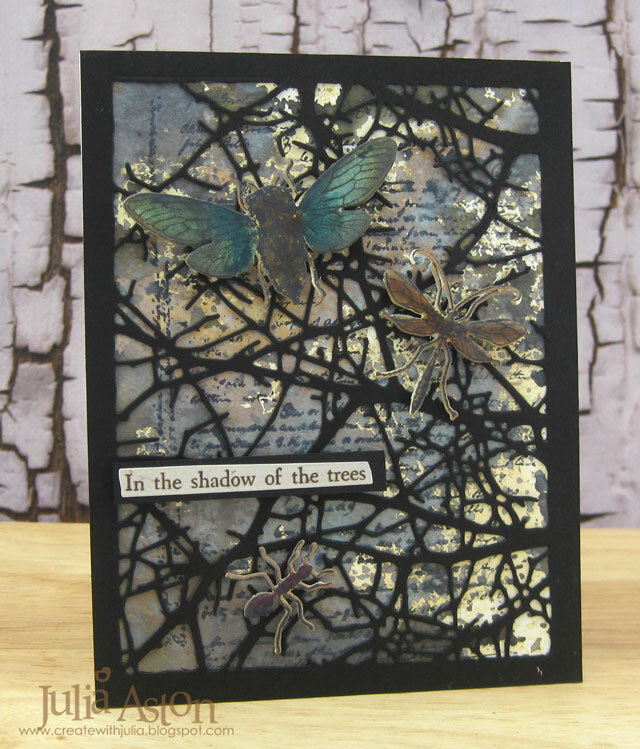 I embossed the sentiment in gold on a strip of vellum and attached it over the panel with small brads. Tomorrow I'll be back with a Halloween Card! 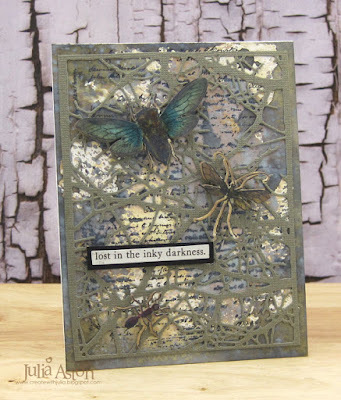 Paper: Arches Watercolor Paper, Rustic Cream, Vellum - PTI, Brown Kraft Core - Core-dinations. Ink: Versamark, Ranger Distress Barn Door, Spiced Marmelade, Crushed Olive, Gathered Twigs. 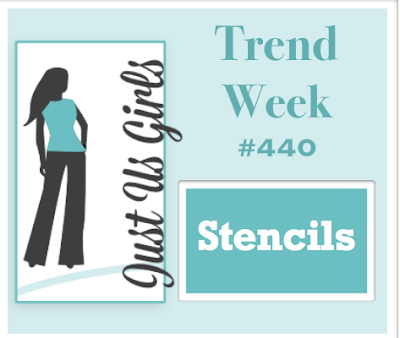 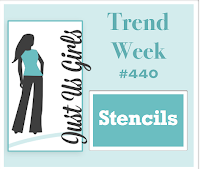 Accessories: Gold embossing powder, heat tool, small brads, mini sander - Ranger, nonstick craft mat.